This was a little project that I did with T to record his favourite memories from 2014. It's something I intend to do with him in one way or another every year. 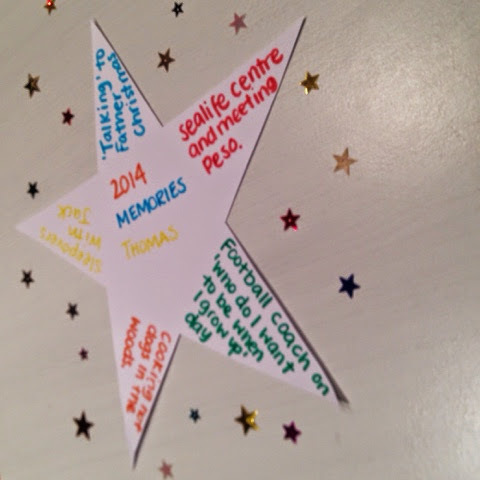 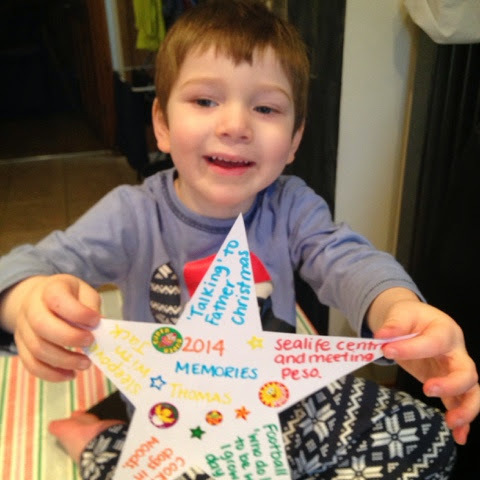 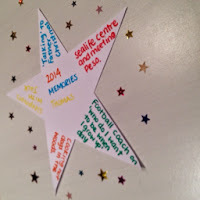 We added our memory star to the time capsule we made at new year too which will be on the blog soon. 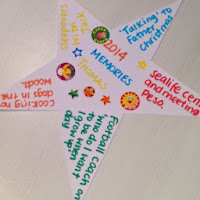 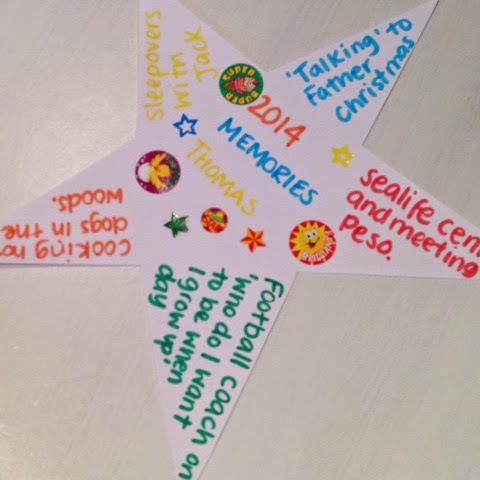 T and I discussed some things that he'd done during 2014, after I suggested a couple he was happy to continue, we made T's memory star after we did our year round-up questionnaire, so he felt comfortable just chatting about the things we'd done, places we'd been and things we'd made. 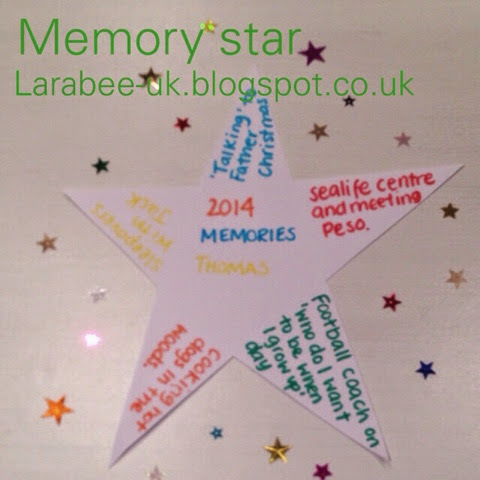 After I'd written the memories, T decorated it with some stickers (of course)!